1. Using the length of your index finger, make a bar from the Low E string to the High E string, behind the 3rd fret. 2. Your middle finger will not be used for this chord. 5. 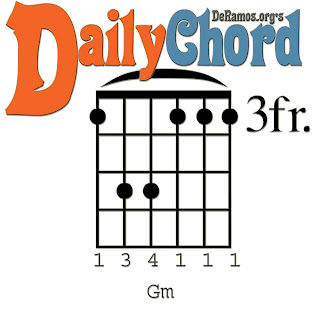 Play the G minor chord.